There are many ways for schools to get involved. 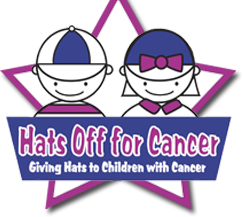 Here are ways to help kids and teens as they battle cancer! College and Universities, click here for more ideas. Host a Fundraising event during the rest of the year at your school. Challenge a rival school to a fundraiser during a sports competition. Incorporate a drive during Spirit Week or Homecoming and use one day for all the students to donate $1 (or more) to wear their favorite hat. Hold hat days each Friday for a month or two months, asking people to donate $1 to wear a hat. Coin Competition – get large jars and each grade put coins in their jar for HOC, the winning grade gets to wear a hat for a day. Organize a concert at your school or get the Student Government involved and host a Coffee House open-mic night. Host a Battle of the Bands and collect donations as entry fees to the show. Ready to start planning your event? Register your event!